The context in which intellectual property (IP) operates in the contemporary world is vastly different from the one in which intellectual property was born. The new context has changed the position of intellectual property both in the economy and in society. It calls equally for a change in the way in which we think about intellectual property and its role. Traditional explanations for intellectual property – Let’s start by recalling briefly the traditional explanations of why we have intellectual property. 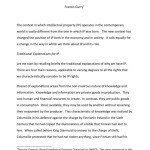 There are four main reasons, applicable to varying degrees to all the rights that we characteristically consider to be intellectual property rights. 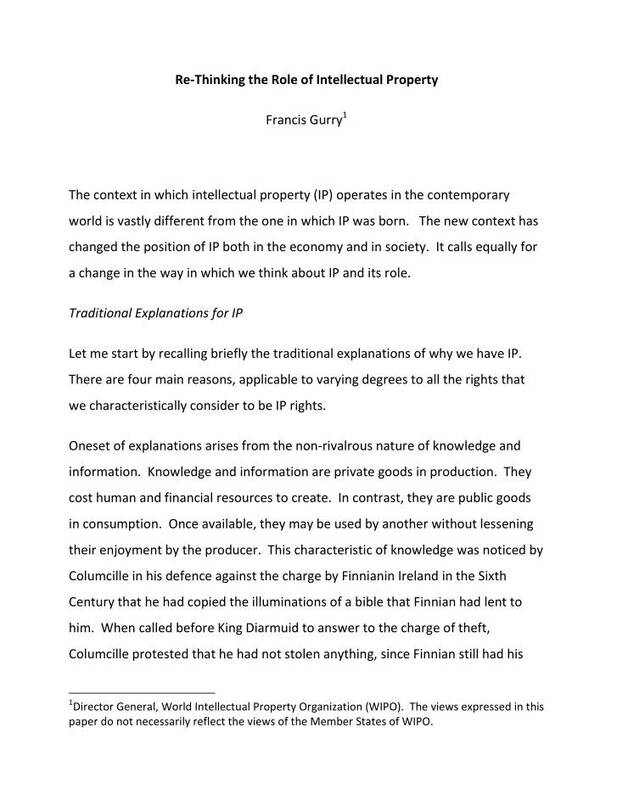 Posted in Asia Pacific, Economy, Federal, Global, Intellectual Property and tagged contemporary world, Economy, Francis Gurry, Intellectual Property, role of intellectual property, Society, traditional explanation, WIPO.